Today I’m sharing a video with tips on how to tackle anti-aging while you’re also struggling with acne. I’ve had acne most of my life in some degree or another, and I want to make sure I’m doing all I can to also tackle anti-aging. That’s why I asked Dr. Corey Frucht to sit down with me and answer some tough questions. 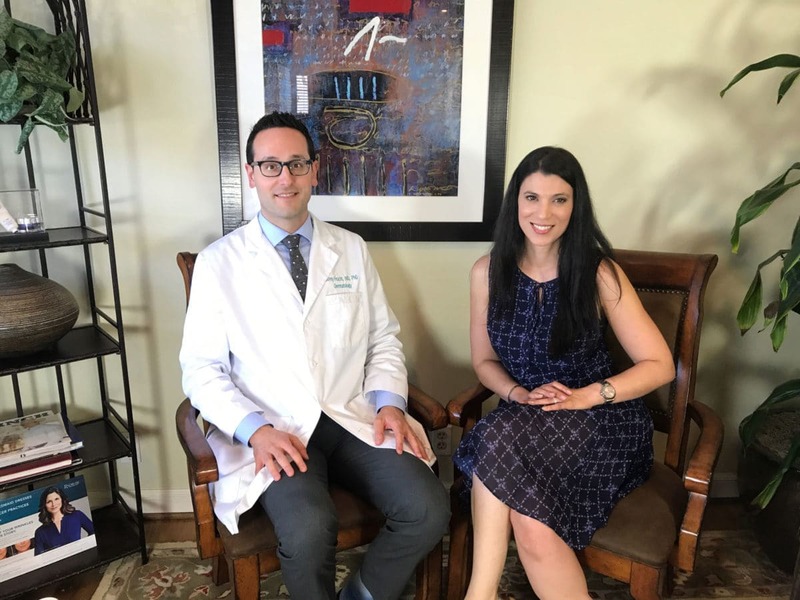 Dr. Frucht is a cosmetic dermatologist at Santa Barbara Skin Care and he has to answer these same questions from his patients. A little back story and how I met Corey, he and his wife Jesse are members of Sanford Winery, just like me and my husband. We attended Sanford’s Annual Pinot Blending and Lobster Feast in May, and were sitting at the same table. I love meeting new people! Ok, now let’s get to it….here’s my latest video Anti Aging / Anti Acne Secrets from a Dermatologist, learn a cosmetic dermatologist’s secrets to keeping your skin acne free, while also doing all you can for anti- aging. In case you missed it, I also reviewed my favorite sunscreens in May. I’m right there with you Shelbi. So glad you liked the post.